This is a step-by-step guide to paying online with a credit card. It's useful if you have an international credit card. 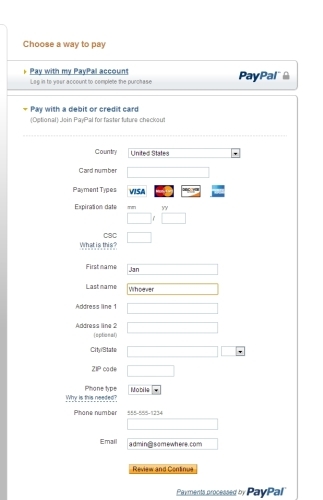 PayPal is used to process the card payment, but you don't need a PayPal account. 1. Click the Add to Cart button. This brings up a shopping cart showing the DIY Kit. Check the quantity is correct, then click CheckOut to start the payment process. 3. 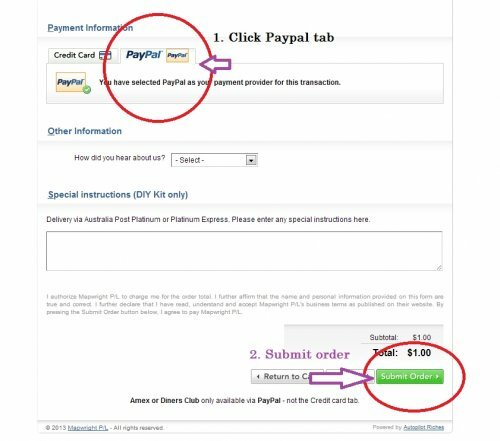 Scroll down the form and click on the PayPal tab (see below). 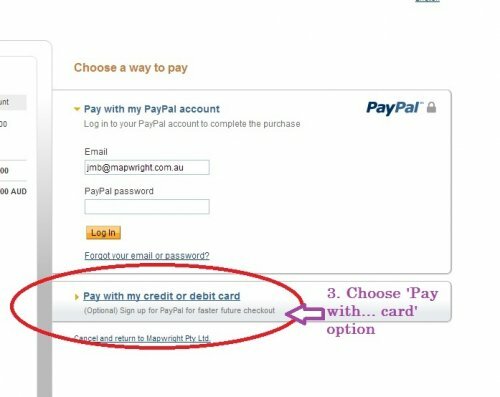 Check that it looks like the screen below, with You have selected Paypal as your payment provider, then click the Submit Order order button. 4. The next page is headed Choose a way to pay. Go down to the second option (not the first one, which requires a PayPal account). 6. Enter details of the card, and click Review and Continue to go to the next page. You have not paid yet, you first check all the information entered, to confirm it is correct. 7. When all is correct, click the Pay Now button to make the purchase. Paypal processes the card payment. You should very shortly receive confirmation of your purchase, and details about the kit, including access to the customers only website. If you have any difficulty or problems, please contact me. We'll get it sorted out.